It has taken three years for Action Jackson to give us much needed new music since 2015’s Miami Kills. Described as an “Angry Ex Cop from Miami” he has placed a firm hold onto the synthwave fanatics that roam around Bandcamp. New material comes nearly every few years and with Ultimate Collapse finally out this eases the anticipation. Action Jackson is known for his brilliant production style that gives him that edge for the ultimate retro sound. This new EP will bring joy to those die hard synthwave fans who have followed Action Jackson for years. 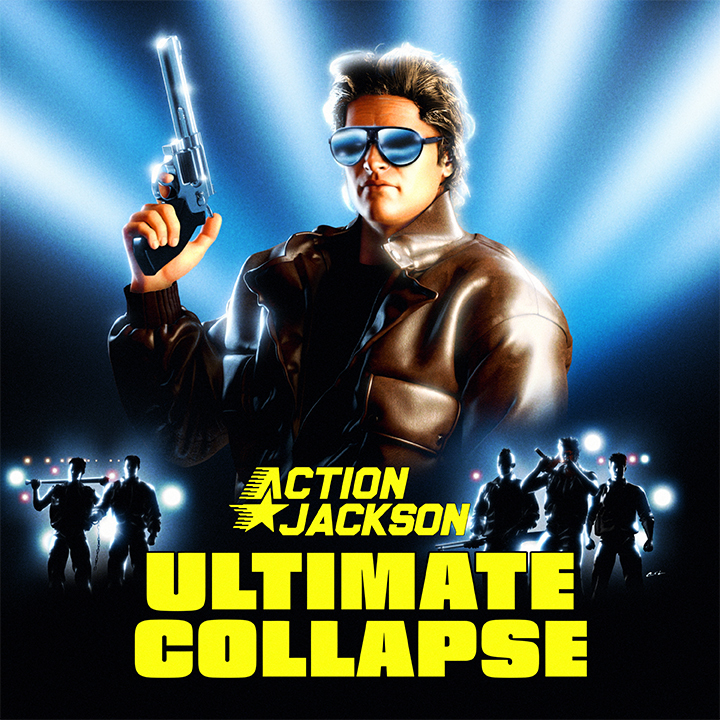 Ultimate Collapse is the ideal comeback for Action Jackson with every song being completely equal with quality. America Cop is a beautifully dark introduction with it’s fist pumping moments. Burn! Burn! Burn! fills the album with an action fuelled beat with distorted synths and growling basslines. Defender kicks the EP up a notch with it’s fast tempo and retro induced groove. Aimtrain slows it down with a more relaxing tone whilst maintaining the funk whilst War puts kicks it back up a notch. USA Funk ends the EP on an epic high. Ultimate Collapse just showcases what wonderful production Action Jackson puts into his music. It sounds exactly like it’s from an epic 80’s movie which it perfect. You imagine montages with each song from either a movie or scrolled through a retro shooting game. This deserves to be a soundtrack for films like Kung Fury; Action Jackson has got everything right with capturing the synthwave sound. The only fault with this is that I wish it was an album, but fingers crossed Action Jackson has a surprise in store for us for more music. Each song is carefully crafted and made with immense quality and excellent musicianship. Action Jackson completely nails the music, production and adrenaline fuelled funk on Ultimate Collapse. He deserves more recognition and this EP explains why.